FULTON, NY – The Fulton Noon Rotarians were made aware in late winter that the two community food pantries, one at the Salvation Army and one at Catholic Charities, were in need of more food supplies than were being donated. 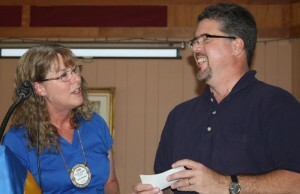 The Rotarians took action and each Rotarian donated funds each week to the two organizations to help them buy food. 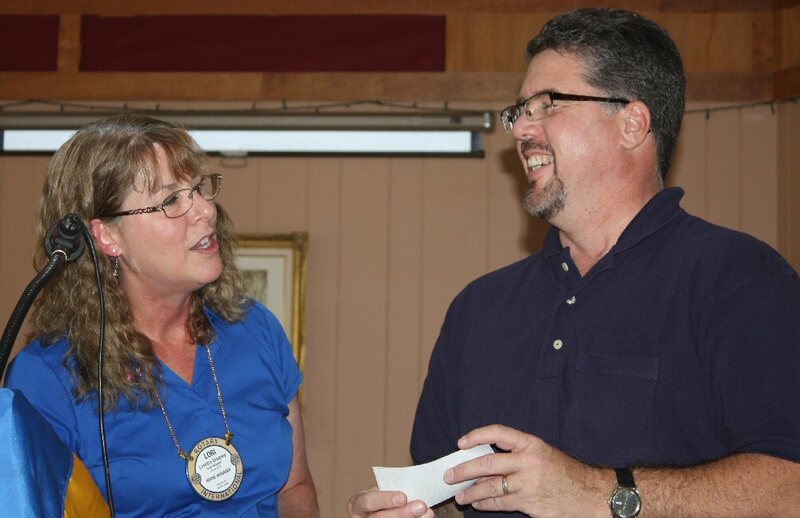 Noon president Lori Greeney presented a check to Oswego County Catholic Charities Food Pantry supervisor Tim Archer to help purchase needed food supplies. Any community member is urged to contact Archer at the Catholic Charities building on West First Street to see how they could help replenish their food supplies.